Pets In Need of Greater Cincinnati’s third annual fundraising event, Petcasso, exceeded its $30,000 fundraising goal, with nearly double the attendance over last year’s event. Two-hundred-fifty guests gathered at the Carnegie Center of Columbia Tusculum Nov. 19; the event was emceed by Cincinnati City Councilman P. G. Sittenfeld. 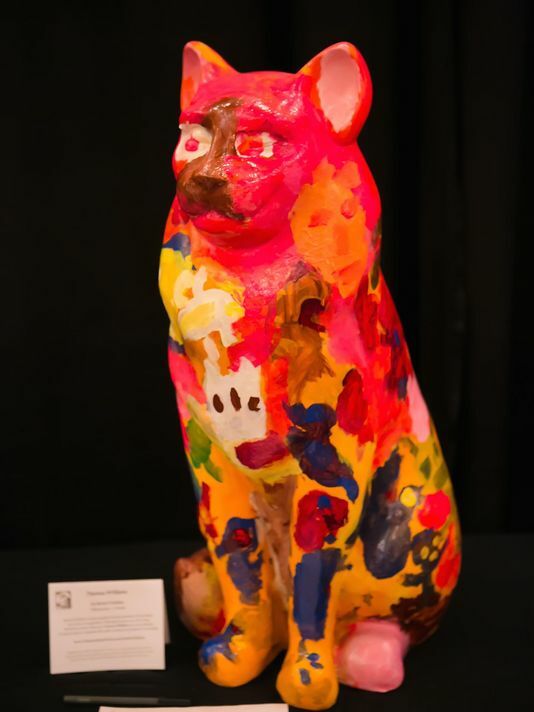 Central to the event’s silent auction was the new “Painted Pets Auction” featuring one-of-a-kind artistic expressions in the form of dog and cat sculptures created by talented local artists who donated their work. Guests enjoyed a buffet catered by Jeff Thomas, live music, an open bar, and a wide-variety of silent auction items. All event proceeds help those struggling through hard times to continue to have the joy of a pet in their lives. The 2017 Petcasso event will be Saturday, Nov. 18. To learn more about Pets In Need or to stay up to date on 2017 event information and ticket sales, visit www.PINcincinnati.org.